The Tomazo’s Group are no small fish in the NT. They’re responsible for some of our most innovative construction and property development projects, all with an uncompromised dedication to enduring quality. 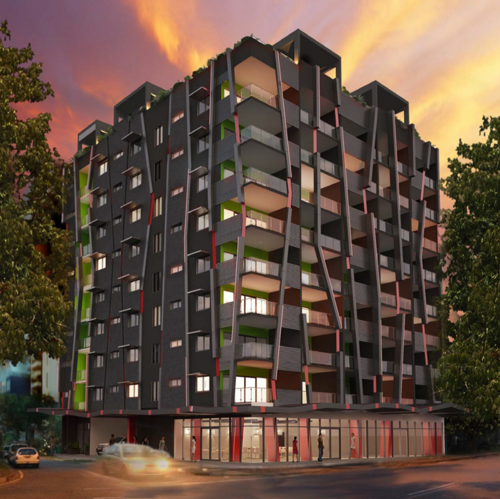 One of their latest projects is a 9-storey building in the heart of Darwin. Designed for lavish urban living, Magnum is set to raise the standard for residential towers in the NT. Aussie Antennas were excited to play a part in the project and had the chance to scale the Wood street location to install some timelapse technology and capture the making of Magnum. Timelapse is a special technique in which the frequency at which film frames are captured is much lower than that used to view the sequence. As a result, time appears to move faster, or ‘lapse’, when played back. This process is amazing for capturing the evolution of construction projects and will help Tomazo’s document the Magnum project from start to finish. Our role was the tricky (but awesome) part. As qualified riggers we often undertake electrical or telecommunications jobs that require full rigging equipment for climbing and abseiling. For the Magnum project, we scaled a nearby high-rise and set-up scaffolding and rigging equipment to allow us to safely install the DSLR camera. We’re looking forward to seeing the finished product once the building is complete and we return to take down the DSLR. Make sure to join our mailing list to keep up to date with the project! If you’re interested in talking to us about organising timelapse technology for your own projects, or perhaps you’re chasing a qualified telecommunications rigger, get in touch. Add convenience and security to your home with a driveway sensor just like the one we installed at this Adelaide River home. Designed and installed by Aussie Antennas and Electrical, a solar powered sensor on this 10km long driveway sends a radio signal to the house whenever a car approaches. The signal triggers the home’s doorbell alerting whoever is at home that someone’s approaching. An SMS notification is sent to the owner’s phone and a photo is taken of the approaching car and stored on the remote camera’s SD card, to be reviewed if required. 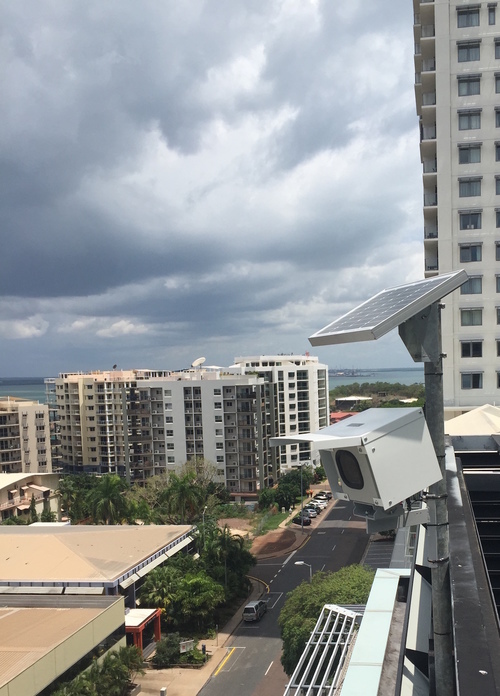 Aussie Antennas & Electrical recently helped Altitude Management NT clear up some persistent TV reception issues in three of their eight story buildings. Within five hours our expert team had fixed the issues in all three buildings – removing unnecessary equipment, installing specialists filtering and adjusting head-end amplifiers to suit each apartment’s needs.